Based on the famous 2014 rescue of 46 Indian nurses from Iraq, editor and first-time director Mahesh Narayan's film is a gripping saga backed by superlative performances. The growing exposure to international content is putting pressure on Indian filmmakers to rise to audience expectations. With mainstream cinema, mostly 'Bollywood', pandering to its large audience base, the onus has been on regional cinema to tell interesting and endearing tales. However, there are other challenges before regional cinema. One, does it have pan-India appeal? And two, the bigger challenge: can any Indian film, regional or Hindi, tell a global tale? For that to happen, India needed to be in the thick of a global issue. Christopher Nolan's Dunkirk (2017) didn’t honour the contribution of the Indian soldiers of the British Raj. But should we even wait for others to tell our tales? Thankfully, the wait hasn’t been too long. 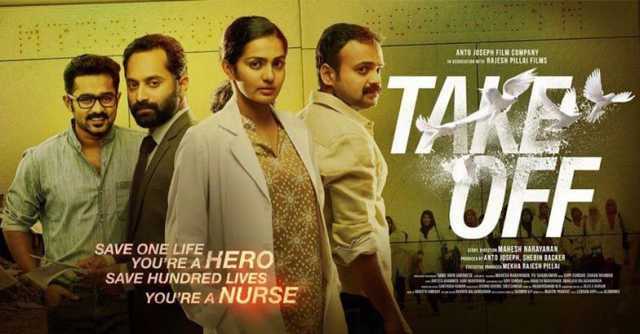 For, early this year, editor and first-time filmmaker Mahesh Narayan created Take Off, a fictional drama based on the 2014 rescue of 46 Indian nurses stranded in war-torn Iraq. The combined efforts of the Indian embassy officials led by A Ajay Kumar, the external affairs ministry headed by the popular Sushma Swaraj, and then Kerala chief minister Oommen Chandy helped to get the women back home. There is also a theory that an NRI businessman played a key role in striking a deal but the external affairs ministry has denied this. Invariably, details of all such operations, especially in India, are classified. But that gives a filmmaker the creative liberty to script his/her tale. 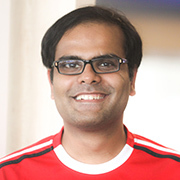 Mahesh Narayan has created a thrilling fictional account of the episode, adding to it a neat and telling dose of family drama. It might have been impossible to gather 46 nurses, so the director has limited the number to 19. Sameera (Parvathy) is a divorcee who has lost custody of her son Ibrahim and, consequently, the zest for life. Poor pay and lack of respect for the nursing profession in India sees her sign up to go to Iraq. That way she hopes to at least resolve her financial woes. The trouble is that her mother will not allow her to live alone in a foreign land. Shaheed (Kunchacko Boban) is a male nurse with strong feelings for Sameera. If marriage is the key to open doors to greener pastures, Sameera is game. Shaheed proposes, she accepts and the duo are wed. Soon, Sameera gets pregnant, but she wants to abort the child. Shaheed refuses to consent. Meanwhile, Ibrahim is due to meet his mother in Iraq for a short vacation. But once they are in Tikrit, her former husband Faisal (Asif Ali) breaks the news that he is not in great financial health, asks Sameera to take Ibrahim under her wing, and leaves. As with any second marriage, and especially so for an Indian woman, the worrying question is, will the child accept the stepfather? Any rosy picture the nurses may have harboured before setting foot in Iraq disappears quickly as they arrive at the hospital amidst tight security. While the other nurses are reluctant to start work immediately, Shaheed and Sameera swing into action tending to the badly injured. The image of a bleeding toddler and his cries leave you numb. A few days later Shaheed is pressed into service in a conflict zone where he is taken hostage by the jihadist ISIS (Islamic State of Iraq and Syria) rebels. Sameera, in an advanced stage of pregnancy, rushes to the Indian diplomatic mission for help. Initially reluctant, officer Manoj (Fahadh Faasil) agrees to help with his sources in Mosul, stronghold of the rebels. On the way back to the hospital, Sameera’s car comes under attack and the terrorists kill an Iraqi official accompanying her. The jihadists let her go, but the next morning five terrorists attack the hospital and take all the nurses with them. With the details classified, one has nothing but media speculation to go by and draw inferences on how the nurses were freed. Narayan succeeds in creating an edge-of-the-seat rescue plot that is very believable as it steers clear of bravado and jingoism. The tight screenplay and crisp editing (Narayan himself, assisted by Abhilash Bhalanchandran) ensure there is never a dull moment. It’s hard to find fault with the rescue operation, but the wry smile of Manoj at his decision not to send the nurses with a foreign rescue mission that ends fatally being proved right is insensitive to the plight of the Bangladeshi and Pakistani nurses who were killed in the bus attack. For such a gripping and entertaining film, the title is quite dull. For those who may not be aware of the 2014 rescue, Take Off sounds like a spin-off of the Akshay Kumar-starrer Airlift (2016), which was based on the evacuation of Indians stranded in Kuwait ahead of the first Gulf war. Airlift was a commercial success, but it lacked soul. While director Raja Krishna Menon did an honest job, watching the Indian actors in Airlift you never got the impression that they are in a stressful situation. Also, the Punjabi protagonist Ranjit Katiyal (Akshay Kumar) robbed real hero Mathunny Mathew (one of the persons on whom Katiyal's character was based) of credit. While a filmmaker has the freedom to adapt a real-life incident into a film in his language, such stories are best told in the language of those who endured the pain and the horror. One of the most riveting scenes in Take Off is when a disturbed Ibrahim, who disapproves of his mother’s relationship with Shaheed, runs out of the hospital. A curfew is broken yards away, and Ibrahim runs in the direction of the charging mob before he is stopped by an Iraqi soldier. He turns around to see his sobbing mother rush to him and jumps in her arms. However, also in his line of sight is Shaheed, who is following close behind. That scene so wonderfully underlines the complexity and predicament of the relationship among the three. After the film, Narayan said it was made at a modest budget of Rs6.5 crore. Looking at the visuals, especially the locations, that is hard to believe. The director revealed that the best part of the film was shot in India, with the filmmaker showing some portions of the Iraqi town of Najaf while Tikrit and Mosul were shot in Hyderabad and Kerala, respectively. Credit to his Narayan and his VFX team. The robust screenplay is backed by superlative performances by Parvathy, Boban and Faasil. It is only the second time I have seen Parvathy. She was a bit awry in her maiden Hindi film Qarib Qarib Singlle (2017), but she is at home in Malayalam. Scarred by the past, Sameera is a strong character, yet she is also impulsive, as seen from her hastily arranged second marriage. Parvathy embodies the body and soul of Sameera. The complexity of the relationships with her husband, son and former husband leave her vulnerable, but Sameera is transformed into a feisty and wily woman who would give her life to save her family and fellow nurses. Parvathy is flawless in the personal and external crises. She is a healer in the true sense. The natural talent flows smoothly. Take a bow, lady. As against Sameera, Shaheed is calmer, composed. But bravery is not always about throwing punches and Kunchacko Boban plays his part with the utmost sincerity. Equally impressive are Fahadh Faasil and Prakash Belawadi. The former is a talent that Hindi cinema needs to keep an eye on. One must also appreciate seasoned actress Rukhsar Rehman who plays the Kurdish wife of the slain Iraqi doctor. She has no words to say, no tears to shed in the film, and yet she moves you with her grim intensity. The real-life rescue brought great joy to the nurses, their families, and the country at large. However, of the 46 freed, 15 are said to have returned to the Gulf region. As director Mahesh Narayan said, when he made the film there was just one thought in his head: why do our women travel to these troubled lands? Poor pay and lack of dignity of labour back home force them to make the tough choice. Given how West Asia continues to be on the boil, we can only pray that one doesn't need another Take Off.